Visiting Berlin for an event also means a great chance to discover one of the best cities in the world. Here are things you must try before leaving this fascinating city. 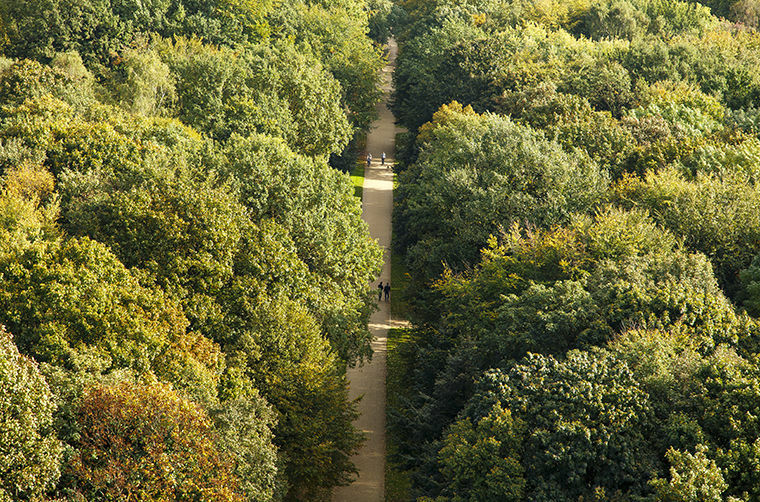 Tiergarten is the biggest urban park in Berlin, and it is the second biggest one after Englischer Garten in Munich. The park is more than 500 years old since the beginning of the park can be traced back to the year 1527. In those times the park mainly served as the hunting area to the King. Throughout the time a lot of changes have been made. During the World War 2, the park was damaged drastically and had to go through a major renovation. However today, the huge park is an area for the locals for afternoon picnics, flea markets, restaurants and more. If you are going to visit Berlin in a sunny day in the spring, Tiergarten is going to offer you an authentic walk surrounded by trees in the middle of Berlin. If you want not to halt your daily routine of exercise, there are many different paths to run in the park, too. In addition, if you have more time and want to make the best out of the Tiergarten, renting a bike may be a better idea than taking a walk or running. Berlin Philharmoniker is regarded as one of the world’s best symphony orchestras and if you are fond of classical music, it is a must for you to catch one of the concerts when you are there. Berlin’s art scene is not limited to contemporary art, which you don’t have to do much to get exposed to it since even the streets of this beautiful city is filled with different forms of it. In addition, it may be good to remember that Berlin is the city with the most number of active opera houses in the world and not only the visitors but also the locals support these by attending the shows. When the relationship between Berlin and art is taken into consideration, it is even clearer to see why the city’s philharmonic orchestra is still one of the most appreciated one in the entire world. The official website of the Berlin Philharmoniker gives detailed information about the performances and concerts. You can also purchase your ticket online and get in touch with the staff if you have further questions. Berlin is one of the most iconic cities in the world not only because of the distinguished culture that still can be felt in the daily basis, but also because of the major place it has in the recent world history. As a way to bless it, the city has got a large number of museums; both open air and regular ones. No matter what your personal specifications are, the city probably has one that suits to your taste. Among the museums in Berlin, Pergamon Museum is one of the most popular and visited ones among the visitors. The museum mainly focuses on Middle East remnants and Islamic Art. The estimated number of people visiting the museum is 1,135,000 annually. It is located in the Museum Island. DDR Museum is another popular museum in Berlin. It is an interactive museum telling the visitors about the way of life in East Germany back then. You can get to know more about the daily life in East Germany in the museum decorated with the utensils used during that period. It is located opposite of the beautiful Berlin Cathedral, on the River Spree.